Heavy haul let's truck drivers tackle the extra BIG loads. For drivers new to the scene, this can be a bit daunting. After all, it’s a load that requires a ton of responsibility. Hauling say, a mobile home or even parts of a wind turbine across major highways puts you and other drivers at risk. You’re the captain at the helm and safety is the top priority. 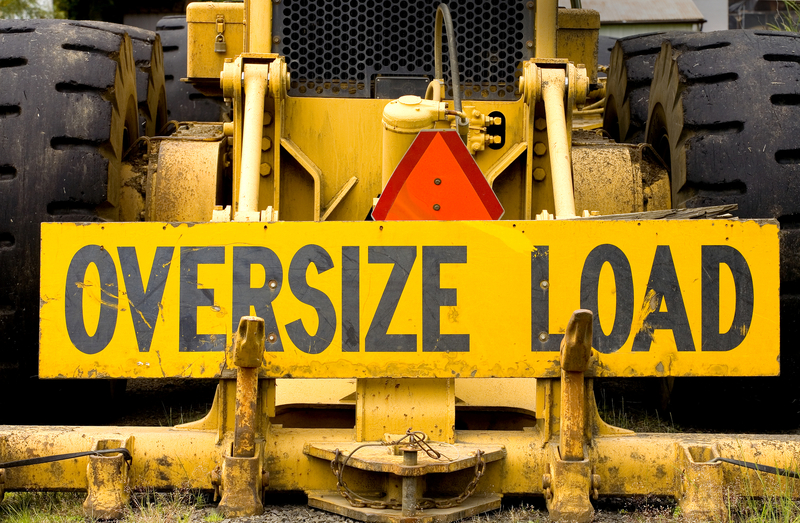 Here’s how you can tackle your first heavy haul with finesse. This goes without saying, but if you will be traveling through different states, the regulations for hauling heavy loads can change. Take time to go over the regulations and keep these rules in mind to avoid any legal trouble. Make sure you have any necessary permits secured beforehand! When you’re hauling an excessively large product over the road, you’re not the only one driving. You share the road with cars, other trucks and vehicles with drivers of varying experience. Then, there’s traffic jams to take into account and construction areas that can slow you down. Take time to practice driving over your routes so you are familiar with the surroundings and what to expect. Of course it’s easy to say, “Make sure you secure that carnival ride properly!” But for real though, securing a heavy load to a trailer is a fine art that needs to be taken seriously for obvious reasons. Take your time, gather the equipment you need and ask questions/get experienced help to ensure everything is bolted down and not going anywhere. Never rush through!